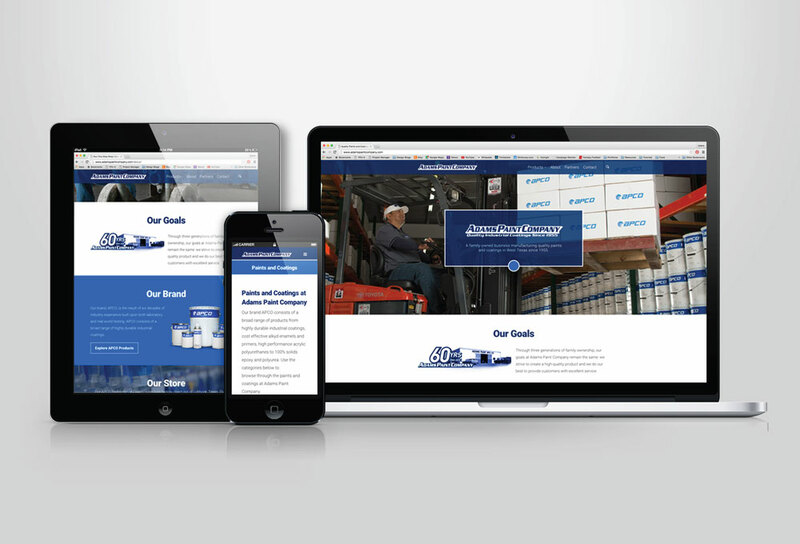 The site build for Adams Paint Company was a complete overhaul. The goal for this site was to create a modern design that could highlight specific aspects of the company and its products. We accomplished this by creating a clean layout with a small color palette and by using featured images of the company’s actual facilities, employees, and products.